Composer and pioneer Pauline Oliveros, founder of the practice of Deep Listening, describes the practice as “a way of listening in every possible way to everything possible, to hear no matter what you are doing.” There’s more to listening than meets the ear! Deep Listening, as developed by Oliveros, explores the difference between the involuntary nature of hearing and the voluntary, selective nature of listening. The practice includes bodywork, sonic meditations, interactive performance, listening to the sounds of daily life, nature, one’s own thoughts, imagination and dreams. 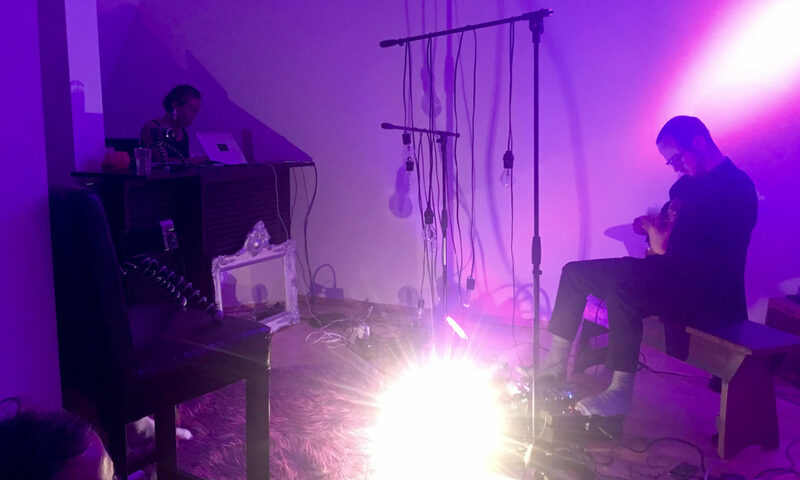 It cultivates a heightened awareness of the sonic environment, both external and internal, and promotes experimentation, improvisation, collaboration, playfulness and other creative skills vital to personal and community growth. The practice seeks to cultivate a more deeply focused listening experience in day to day life, including listening to one’s dreams, one’s own body or thoughts, the sounds of nature as well as our environments. Hoping to create not a world of virtuosic musicians, but a world of virtuosic listeners – who can immerse themselves deeply in the soundscapes of audible existence. Ultimately, the practice develops mindfulness and compassion: as we become better listeners, we open ourselves far more to our fellow beings as well. The more we listen, the more we realize it isn’t about us, to paraphrase Pauline. This weekly workshop can be taken either as a series OR as a drop-in. Each meeting will focus on different exercises and practices including sound walks through the neighborhood (Friedrichshain) and the river. Through continued practice of the movement, dreaming and listening exercises developed by certified Deep Listening instructors. Deep Listening also provides many physical and emotional benefits, including decreased stress, increased awareness of ourselves and our relationships, as well as increased enjoyment through the sheer power of sound. Workshops led by composer, improviser and Deep Listening Certified instructor, Renée T. Coulombe, PhD.